A night of tribe, sharing connection and love with friends, family and partners. This mindful alternative to traditional Valentine's Day experiences will be centered around a journey for uplifting your internal vibe. Embrace a night of soul-shifting sound, with a live performance by Kevin Paris and storytelling of his new SAY LOVE album. Begin or end your experience with Denver Integrative Massage, paired with a 75 minute Surrender in the City movement + stillness flow with Mama Jen powered by Sound Off CO. Stay for DJ beats by local fave isiraP, sweet treats from Church of Cupcakes, herbal teas from DIMS, Kavita Kombucha MOCKtails, Crafthouse Cocktails and decadent poke spread from Ohana Grille. Create a deeper connection to SELF…COMMUNITY…THOSE YOU LOVE TO LOVE. Movement + Music: 6:30-8 p.m.
DJ Social Hour: 8-9 p.m.
Have someone in your life who needs an extra dose of LOVE? 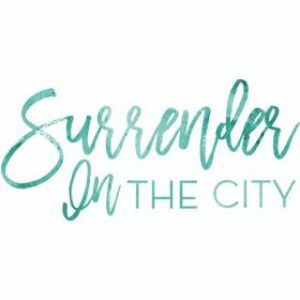 Message Surrender in the City on social channels or email [email protected] to request a special complimentary ticket offering... Our gift to keep the love growing. Please make sure to bring a yoga mat. 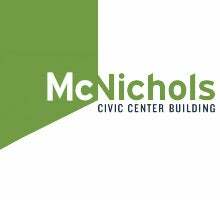 This event is supported by Denver Arts & Venues Cultural Partner Program at the McNichols Civic Center Building.